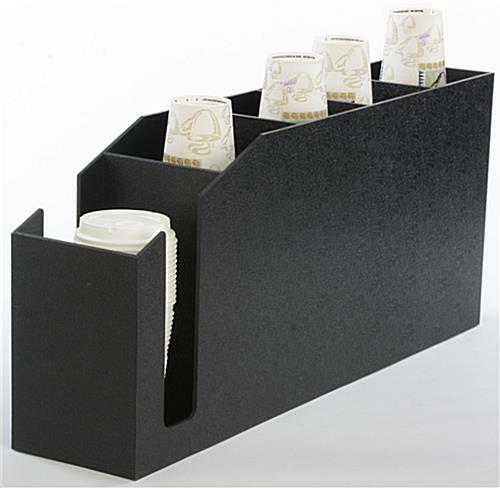 This countertop cup dispenser is an ideal beverage organizer! 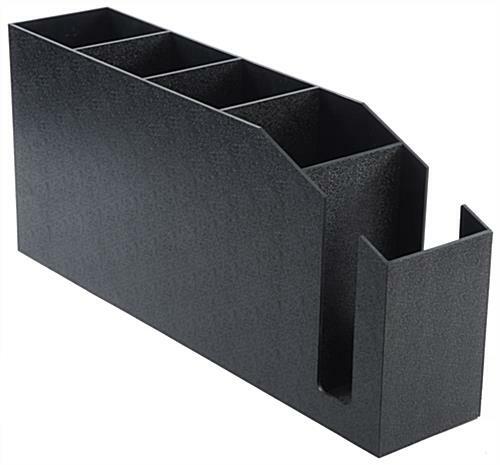 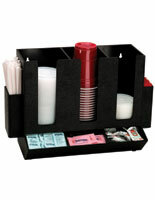 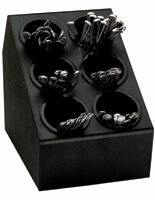 Proprietors can use the display to hold drink accessories such as straws, lids, and Styrofoam mugs. 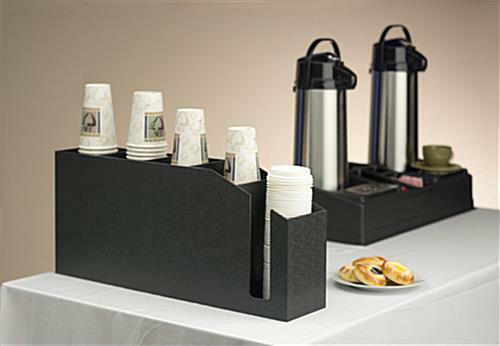 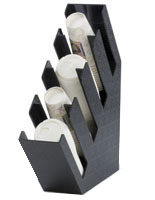 The textured black dispenser is designed for use in restaurants, cafés, and coffee shops. 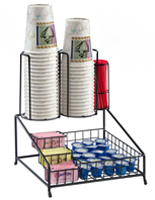 Most establishments use the counter top holder to create a full-service drink station by placing the unit near the soda machine. 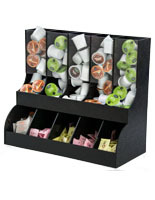 Creating such a display allows customers to easily serve themselves. 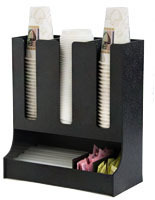 In addition, coffee shop and restaurant employees often use the dispenser in the kitchen. 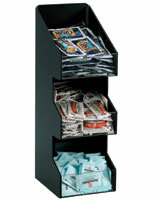 By placing a holder next to the soda machine or beverage area, restaurants are able to keep supplies organized and easily accessible on the counter top. 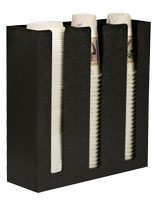 5.5" x 11.0" x 25.0"